We are located near Saskatoon, Saskatchewan on ten acres of contoured prairie land. Saskatoon is located within the Prairie Pothole of the Central Flyway Zone for migratory birds and therefore we have an abundance of migratory birds overhead and in nearby ponds, especially in the spring and fall seasons. We also have ruffed grouse, rabbits, ground squirrels, deer and occasionally moose to entertain the dogs at home. 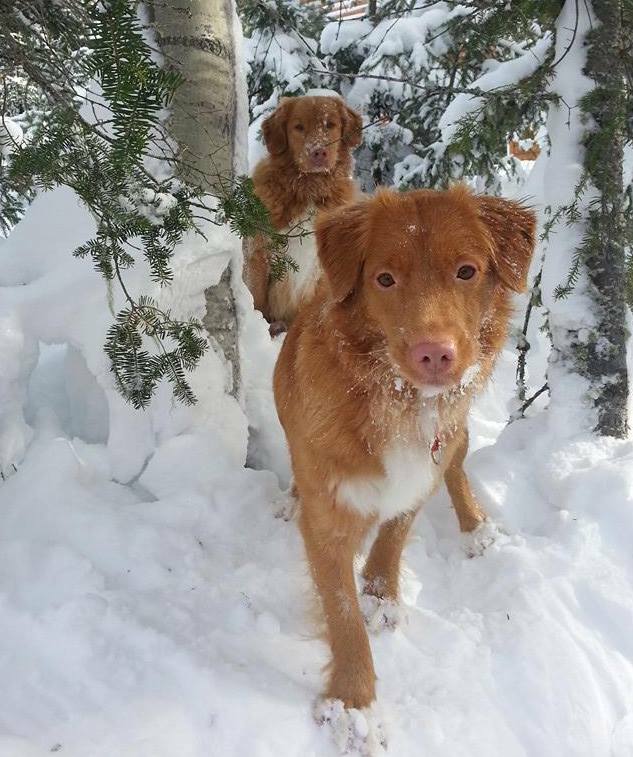 After the introduction of our first 'pet', we are now members in good standing of the Canadian Kennel Club (CKC), Nova Scotia Duck Tolling Retriever Club of Canada, Saskatoon Retriever Club (SRC) and Saskatoon Kennel & Obedience Club (SKOC). Currently, Shelly is the Zone 9 (Saskatachewan) Obedience & Rally-Obedience Council Representative for the CKC, past treasurer with the SKOC, where she has taught obedience classes as well as assisting other members with competitive obedience, past Working Certificate Secretary and has been part of the Fundraising Committees for two National Field Events. Mark is currently President of the SRC. We spend a lot of time volunteering - from cutting grass on mounds, picking foxtail, stewarding at obedience trials, providing lunches, judging for field events, as well as many other positions to promote the success of our local clubs. Many of our local clubs are disassembling through lack of volunteers. It is important to support your clubs and I hope anyone that takes a puppy into their home will try to help keep their breeds (whether mixed or full-breed) active and look into how they may help to assist responsible dog ownership for all.